To withdraw your cash from MogoCrypto, you’ll need to first verify the bank account your funds will be deposited into. Once you’ve verified your account, and you’ve passed the withdraw hold period, follow the steps below to cash out! 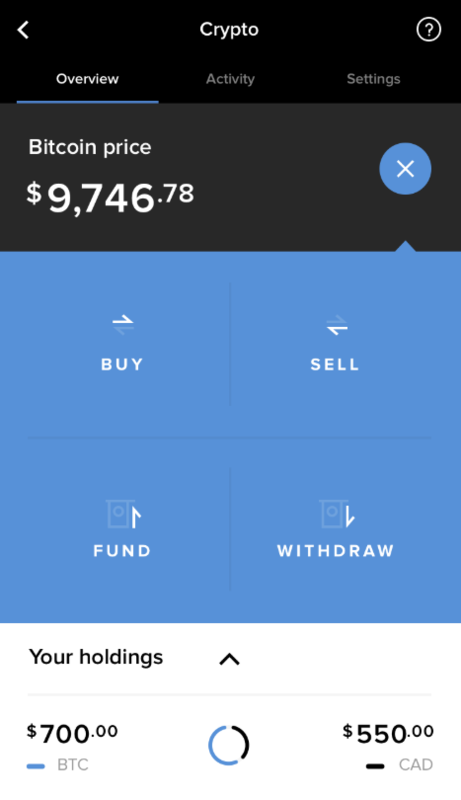 In your MogoCrypto dashboard, under the Overview tab, click “Withdraw”. Specify how much cash you’d like to withdraw and click “Continue”. Note: The maximum amount you can withdraw within a 24 hour time period is $9,900. 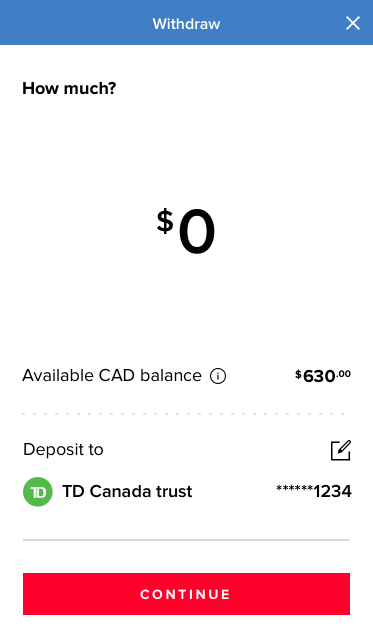 You can view the details of your available cash balance by clicking the tooltip (the little “i”). 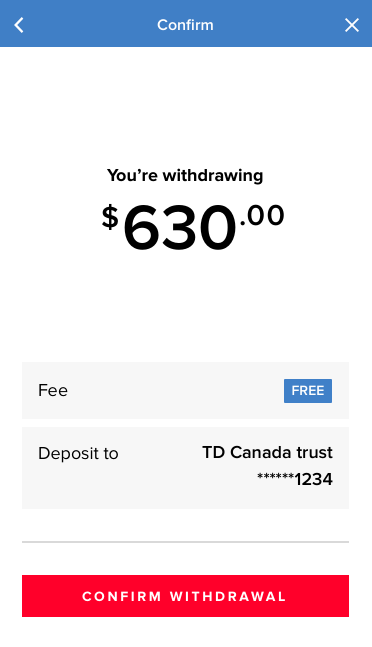 Review the amount you’ve entered that you’d like to withdraw and click “Confirm Withdrawal” to continue. You’ll see this screen once you’ve completed the withdrawal. 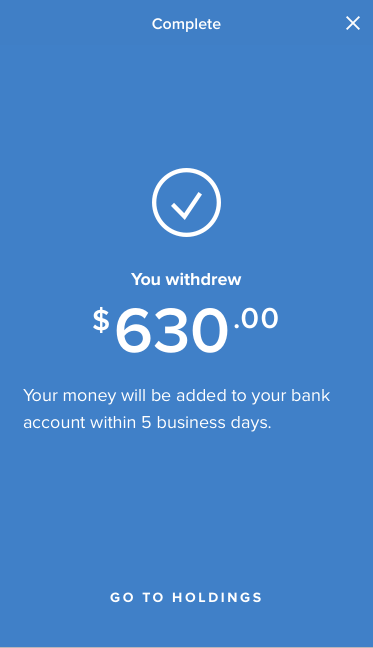 The money will be deposited in your bank account within 5 business days.